The geologist behind Alaska’s oil resurgence is chasing a new opportunity near the Arctic National Wildlife Refuge that he hopes will equal his 2013 discovery that led to a rethinking of North Slope exploration. “We think it could be really big,” Bill Armstrong said, referring to his new prospect. “We have multiple ideas, but the running room there is massive." In November, Armstrong quietly snatched up 200,000 acres in the state’s annual lease sale, bidding $14 million and dominating the sale. On the little-explored acreage west of ANWR, Armstrong hopes to repeat his success at Pikka far to the west. The effort has a big partner. 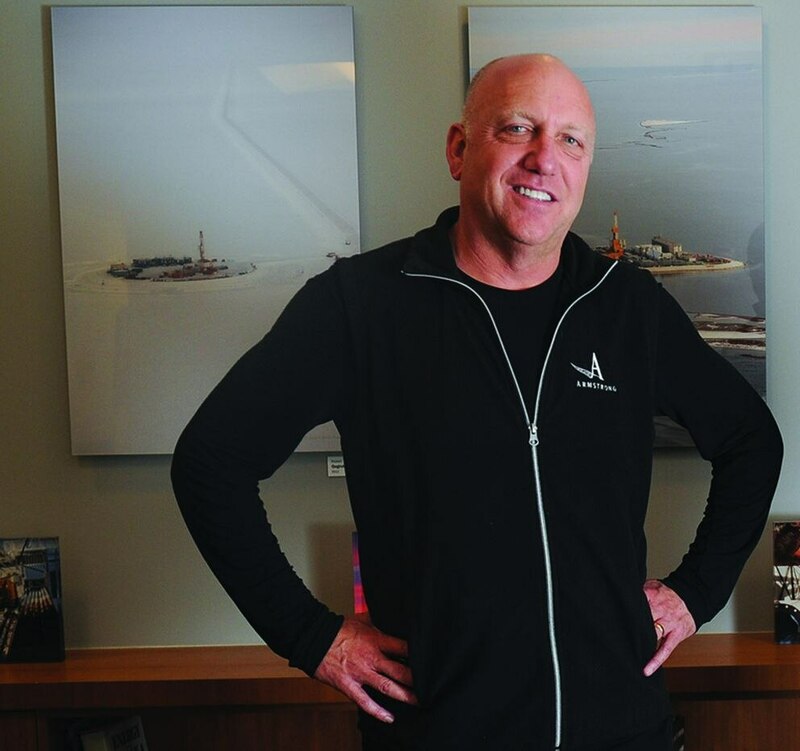 Oil Search announced last month it’s paying $8 million to buy half the new leases from Lagniappe Alaska, Armstrong’s new company. Lagniappe, a Cajun word, means “bonus,” he said. Oil Search sees lots of potential in the Lagniappe land, including geological characteristics similar to Pikka’s, the company said Jan. 25. A regional study by Armstrong and Oil Search in 2018 pegged the land as "highly prospective for oil,” Oil Search said. Drillers could also come up dry, Armstrong said. “It’s still wildcatting and risky,” he said. Oil Search came to Alaska in 2017 to pursue development at Pikka, one of the biggest onshore U.S. oil discoveries in decades. The $5 billion project has the potential to significantly boost Alaska oil production. The first drops could flow in 2023. “What we’re chasing with Lagniappe is what see at Pikka, but younger,” Armstrong said. Wells drilled in the region decades ago sought deeper, bigger prospects, like Alaska’s giant Prudhoe Bay field. Companies were “blowing past shallow zones” where Pikka-like opportunities exist, he said. More Pikkas could be waiting across the North Slope and into the Arctic Ocean, he said. The oil traps are “subtle," challenging to find on seismic data. “Alaska is in the beginnings of something that could be really game-changing," Armstrong said. “Usually you have to go to some remote part of the globe to find something like this, but it’s right here, and industry is just waking up to this." Armstrong’s Pikka discovery has sparked new exploration in Alaska, including by ConocoPhillips, showing that big fields remain undiscovered. The chance to discover new oil is also behind BP’s first-ever seismic shoot across all of Prudhoe Bay, though officials caution they don’t expect to find anything close to Pikka’s size. 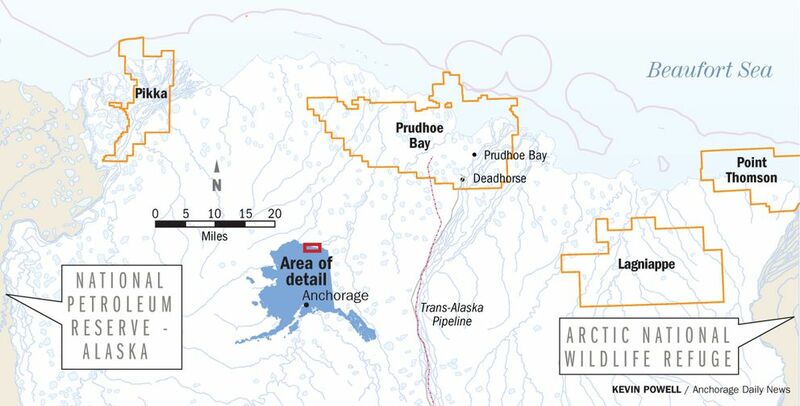 “This field is really mature, so to find something big, I don’t think it’s in the cards,” said Fabian Wirnkar, BP’s vice president of reservoir development in Alaska. But BP might find “little pockets” of “bypassed” oil at Prudhoe, he said. “Once you start doing some investigation, you might be surprised with what you see," he said. BP’s seismic shoot does not stem from the Pikka discovery, he said. Instead, it grew out of BP’s smaller 2015 seismic survey that helped the company stabilize Prudhoe oil production for three straight years. 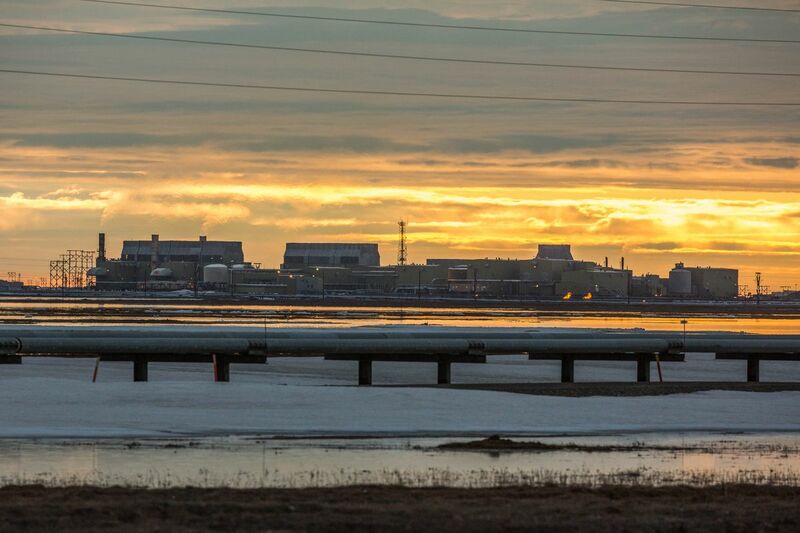 The goal once again is minimizing declining production at Prudhoe Bay, also owned by ConocoPhillips and ExxonMobil. Thirteen billion barrels of oil has been produced there since the 1970s. Its peak production days are long gone. “Very few people acquire seismic on a field that’s 41 years old,” Wirnkar said, saying it shows BP’s long-term commitment to Alaska. This winter’s shoot will provide detailed images of subsurface rocks, using rapidly advancing seismic technology and computer processing, Wirnkar said. The survey lasts through March, covering more than 450 square miles. The data can also improve the company’s ongoing horizontal drilling. With crisper detail, drillers can avoid costly troublesome spots that damage equipment, and more efficiently link oil deposits spread over long distances. Drillers today are like surgeons who thread catheters through blood vessels, starting in the leg, to insert a stent in the heart, he said. Prudhoe is still Alaska’s largest oil field, producing more than 250,000 barrels daily, about half the North Slope production. BP is already accumulating results from the ongoing shoot, Wirnkar said recently. By the end of the year, BP should have much of the data "processed to identify new pockets of oil,” he said.